Sometimes you need to share your PC with other users, but that can be both privacy and safety concern. You don’t want your guests to have full access to your PC and personal files and this is why Guest account can come in handy. Guest account is an extremely useful feature, and today we’re going to show you how to use it on Windows 10. 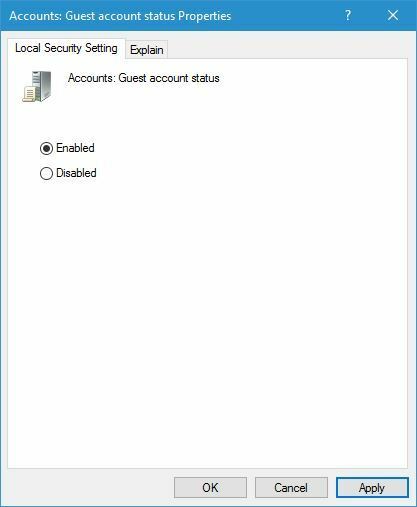 Guest account on Windows 10, how to enable it? 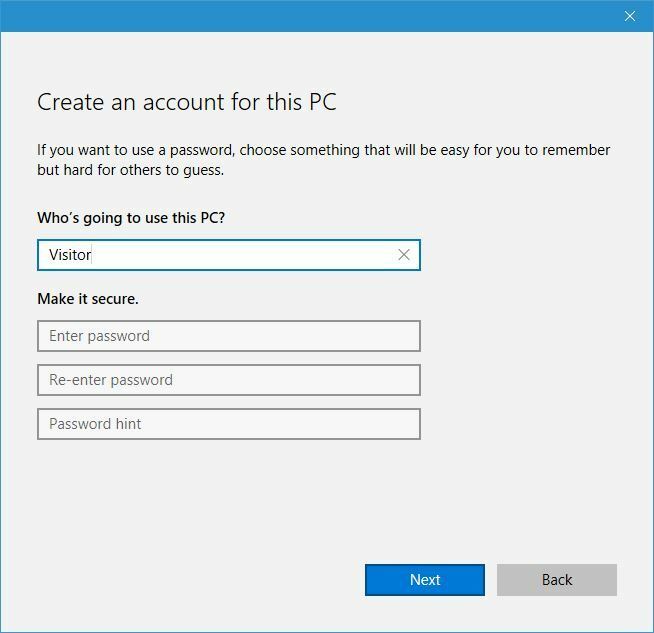 If you have a visitor that needs to use your PC, you might want to consider using a guest account. Guest account is a special kind of account that comes with many limitations that will prevent the guest from accessing your personal files, installing new applications and changing your settings. Regarding the limitations, Guest account doesn’t have a password and the password can’t be set for this account. Also, Guest account won’t be able to install applications so you don’t have to worry about a guest installing unwanted or potentially malicious apps on your PC. While Guest will have access to your installed applications, it will be able to access only those apps that were installed on your PC when the Guest account was created. Guest account doesn’t allow any customization, and it can’t change its name, picture or account type. This keeps Guest account safely locked from gaining full access from your PC. In addition, Guest account can’t change any settings regarding itself or other users. This feature will also protect your sensitive files and your privacy since Guest account can’t access your libraries or user folders. Guest account also has limited power when it comes to creating folders, and it can only create files and folders on Desktop or on its user folder. Unlike regular account, Guest account won’t be able to create files anywhere on your PC. Lastly, Guest account can only be enabled or disabled by administrator. 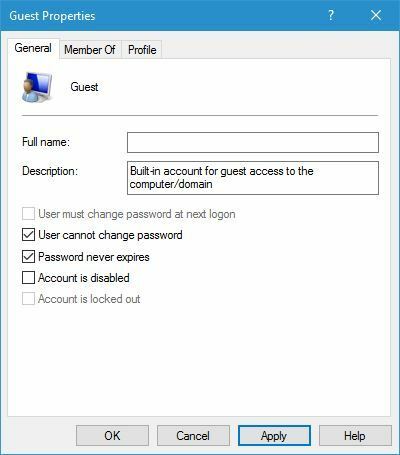 As you can see, Guest account can be an extremely useful feature, especially if you have visitors or other family members that need to quickly use your PC to check something online. 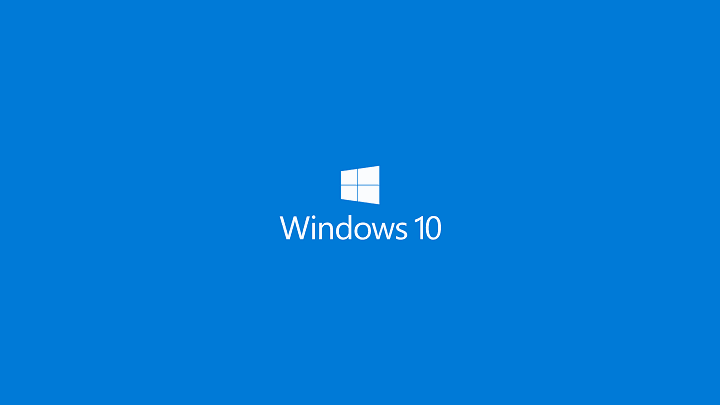 Although this feature was present in previous versions of Windows, Microsoft did some changes and made this feature a bit harder to access in Windows 10, however, you can still enable it by using one of our solutions. Press Windows Key + X to open Win + X menu and choose Command Prompt (Admin). When Command Prompt opens, you need to create a new account called Visitor. To do that enter net user Visitor /add /active:yes. 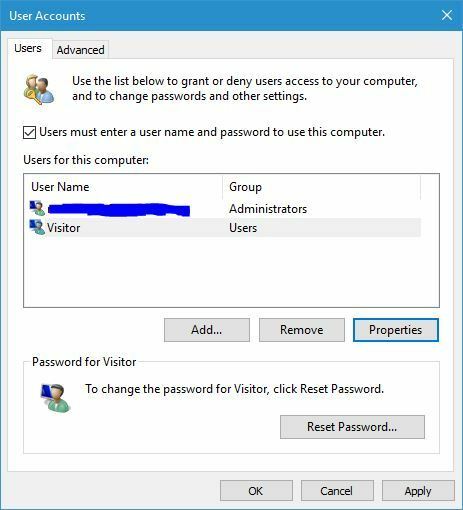 You’ll have to use Visitor or any other name since Guest is reserved by Windows. Now enter net user Visitor * and press Enter. You’ll be asked to enter a password for this account. Passwords aren’t required for guest accounts, so press Enter twice to leave the password field blank. Now you need to remove Visitor account from Users group. By default, all created accounts are added to Users group that has full access to your PC. Therefore we need to remove Visitor account from Users group by entering net localgroup users Visitor /delete. 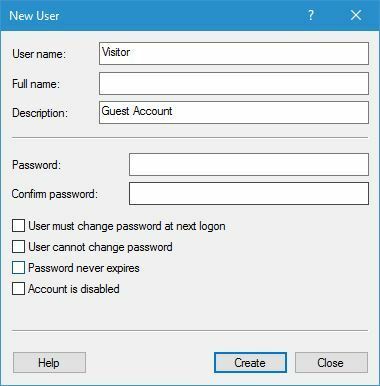 Now you need to add Visitor account to the Guests group by entering net localgroup guests Visitor /add in Command Prompt. After doing that, close Command Prompt and you should have a new Visitor account that has limited privileges of a Guest account. If you want to use the Guest account, simply log in to Visitor account and the Visitor account should work completely as a Guest account. Press Windows Key + S and enter group policy. 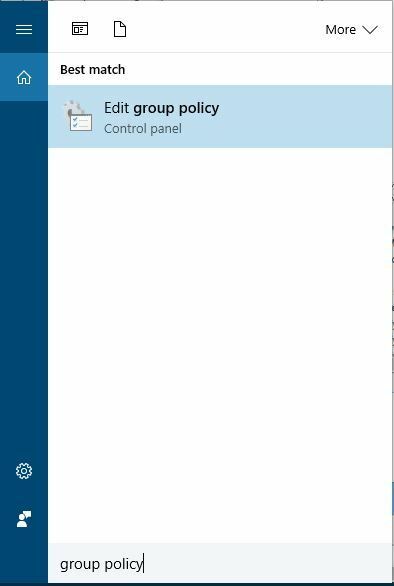 Choose Edit group policy from the menu. 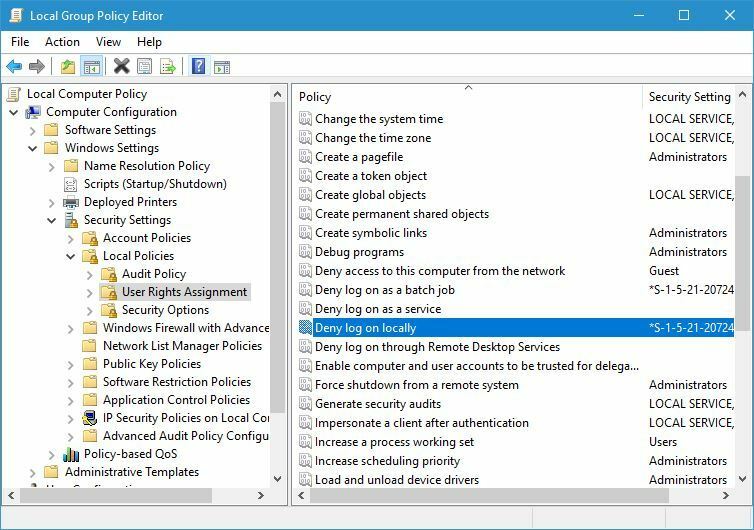 When Local Group Policy Editor opens, in the left pane navigate to Computer Configuration > Windows Settings > Security Settings > Local Policies > Security. In right pane locate Accounts: Guest account status and double click it. When Properties window opens, select Enabled and click Apply and OK to save changes. 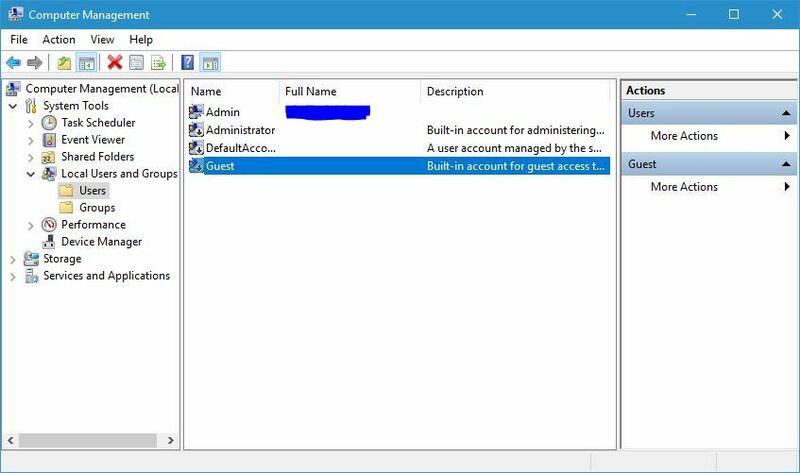 After enabling this option in Group Policy Editor you should be able to access Guest account without any problems on Windows 10. Press Windows Key + X and select Computer Management from the list. When Computer Management opens, in the left pane navigate to System tools > Local Users and Groups > Users. In right pane double click Guest. When Guest Properties window opens, you’ll see a list of options. By default Account is disabled option should be checked. Uncheck Account is disabled option and click Apply and OK to save changes. 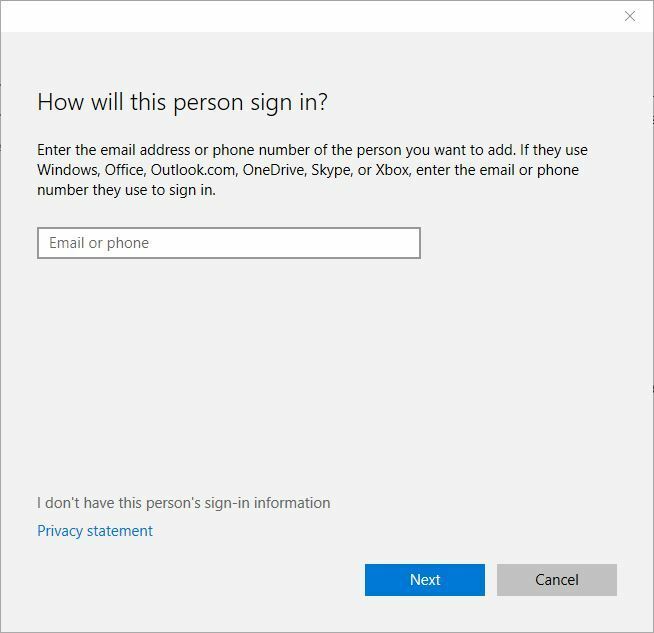 After disabling this option Guest account should be available on your Windows 10 PC. Few users also suggest that you need to restart your PC once you make changes to Computer Management, so be sure to try that as well. 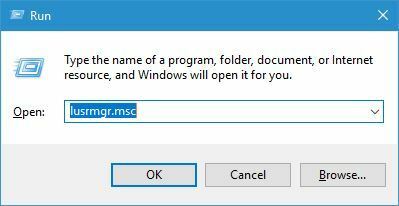 Press Windows Key + R and enter lusrmgr.msc. Press Enter or click OK. When Local Users and Groups tool opens, select Users in the left pane. In the right pane, right click the empty space and choose New User. Now Enter Visitor or any other name as User name. Feel free to enter any Description and uncheck User must change password at next login. Click Create button to create a new user account. Visitor account should now be added to the list of accounts. Double click the newly created account to see its properties. 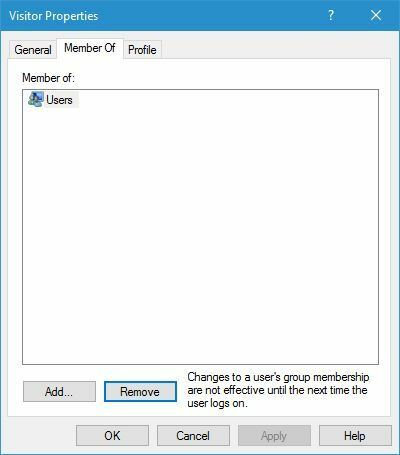 When Properties window opens, navigate to Member Of tab, select Users and click the Remove button. This will remove the account from the Users group and remove any privileges that normal users have. It’s necessary to remove this account from Users group because all new accounts are automatically added to the Users group when they are created. Now click the Add button in the same window to assign Visitor account to a new group. 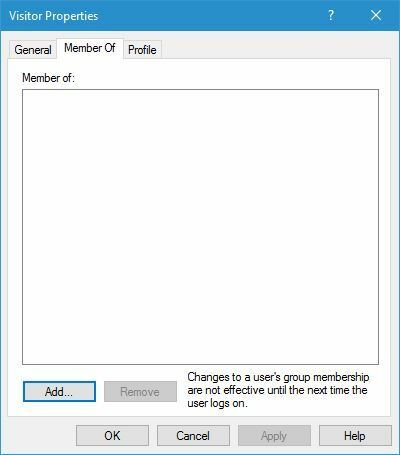 Select Groups window will now appear. 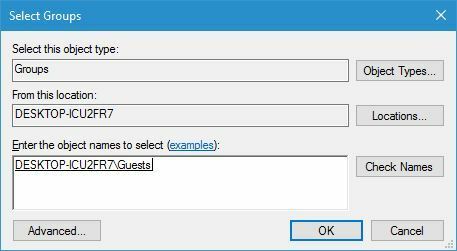 In Enter the object names to select field enter Guests and click Check Names. If your input is valid, click OK to save changes. Guests group will now appear in Member of filed. Click Apply and OK to save changes. After you’re done, close Local Users and Groups tool. Visitor account will now be added to your PC and you should be able to use it without any problems. As we already mentioned, you can do the exact same procedure by using Command Prompt. Using Command Prompt is a faster solution, so you might want to consider using it instead. If you’re not comfortable using Command Prompt, you can use this solution to achieve the same results. When Command Prompt opens, enter net user guest /active:yes and press Enter to execute the command. Open Group Policy Editor. For more instructions on how to do that we advise you to check Solution 2. 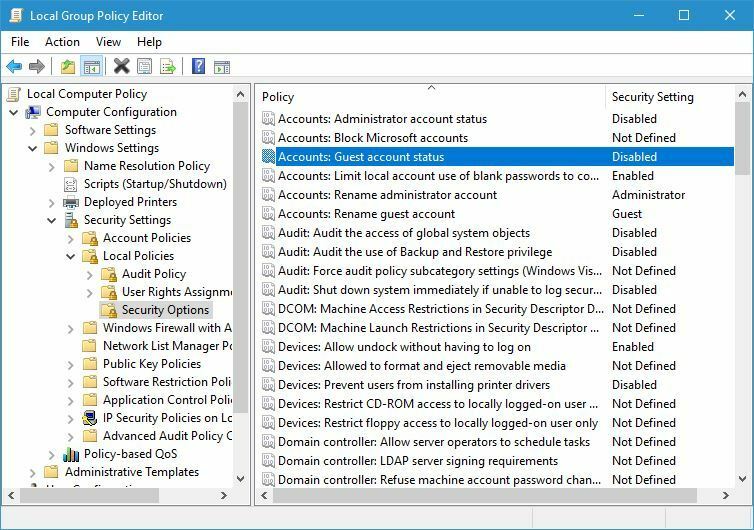 When Group Policy Editor opens, in left pane navigate to Computer Configuration > Windows Settings > Security Settings > Local Policies > User Rights Assignment. 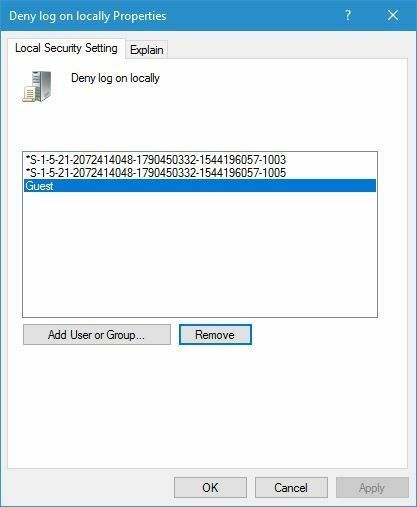 In right pane locate Deny log on locally policy and double click it open its properties. You should see a list of accounts that aren’t enabled for access. Among them you should see Guest account. Select Guest account and click on Remove button. 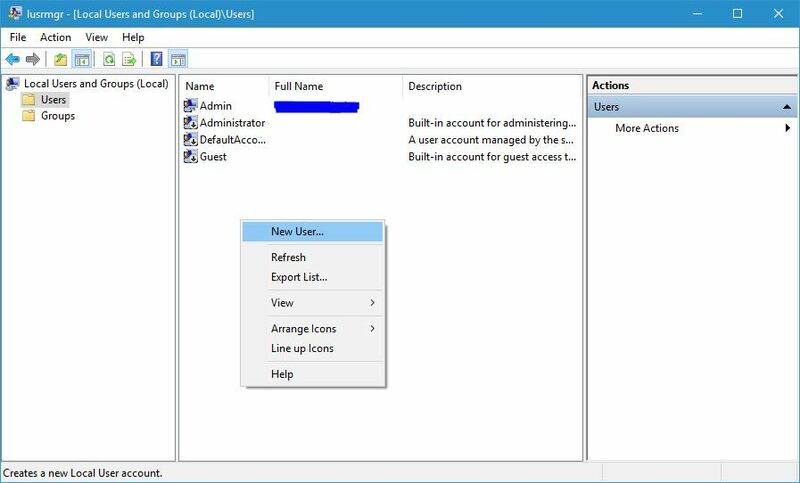 As you can see, you can’t log in to Guest account on Windows 10 by default, but after enabling this account from Command Prompt and after changing your Local Group Policy, you should be able to access it without any issues. Open Settings app by pressing Windows Key + I. Go to Accounts > Family & other people. In Other people section click on Add someone else to this PC. Enter Visitor as user name and click Next. In Other people section you should see Visitor account that you just created. Press Windows Key + R and enter netplwiz. Press Enter or click OK. User Accounts window will now appear and you’ll see all available accounts. Check Users must enter a user name and password to use this computer option. Double click Visitor user to open its properties. When Visitor Properties window opens, go to Group Membership tab. Here you’ll be able to choose between several different groups that have different privileges on your PC. Select Other and from dropdown menu choose Guests. After doing that, you should have a Visitor account that has the same privileges as Guest account. As you can see, Guest account is an extremely useful feature to have, and we’re not sure why did Microsoft remove support for this feature. 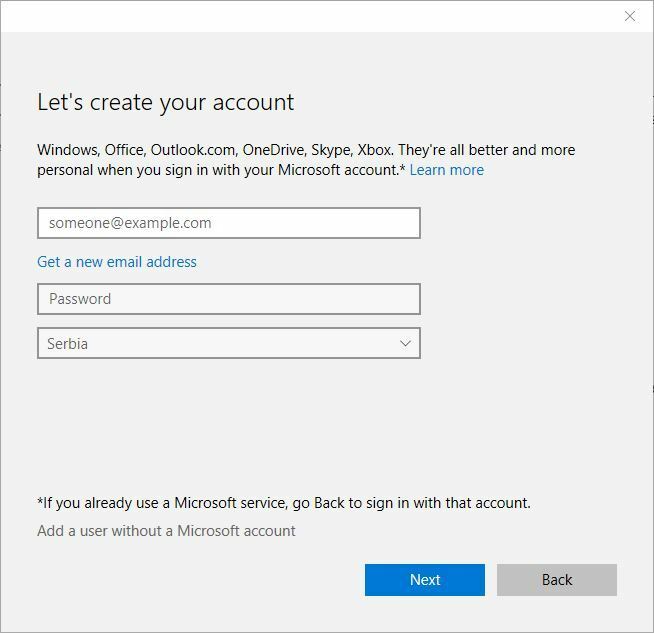 If you still want to use Guest account on your Windows 10 PC, be sure to try some of our solutions.